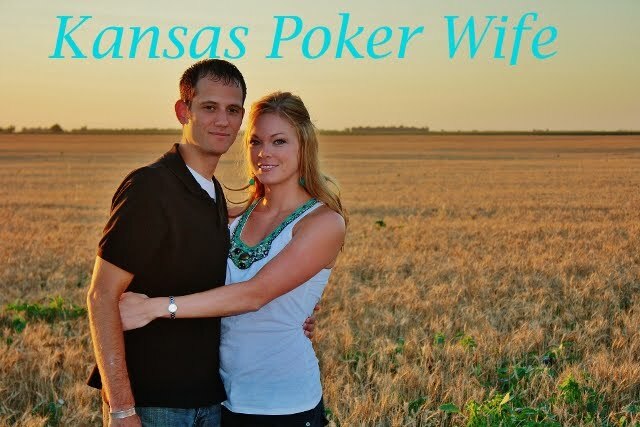 Kansas Poker Wife: TED talks! After my slightly disappointing dive this morning, more on that later, the hubs and I wanted to relax. He has been working really hard and needed a break, and I was exhausted from my extremely hectic lifestyle! Haha! We turned on Netflix, isn't it amazing? For $7.99 a month we can stream hundreds of shows, movies, and documentaries. To offset my Jersey Shore watching, I browsed through the documentaries. I guess Snooki falling down drunk and The Situation putting his diseased "situation" inside attention-seeking hoochie mamas is not intellectually stimulating. I am kind of ashamed that I watch this show, but it IS a train wreck... I can't look away. The hubs found the TED talks on Love and Relationships. We watched several in the series then moved on the Food and Taste series. Jaime Oliver started the Food series. I just love him and his drive to make our country healthier and educate families about food and obesity. Feeling inspired, I decided to make yet another vegetarian dish and new recipe. I found this one on Food Network. Enjoy! Bring the broth to a simmer in a saucepan over medium-high heat; cover and keep warm. Meanwhile, heat the olive oil in a large saucepan over medium heat. Add the onion and cook until soft, about 4 minutes. Add the rice and cook, stirring, 1 minute. Reduce the heat to medium low. Stir in the wine until the liquid is absorbed, about 3 minutes. Ladle in 3/4 cup hot broth and cook, stirring constantly, until the liquid is absorbed, 6 to 7 minutes. Repeat with the remaining broth, adding 3/4 cup at a time, until the rice is tender but somewhat chewy, about 50 minutes. Stir in 3/4 teaspoon salt, pepper to taste and 1/2 cup Parmesan. Divide among bowls. Top with the remaining 1/4 cup Parmesan and the basil. *I think this recipe makes much more than 4 servings. Jade and I were stuffed and we didn't make a dent. 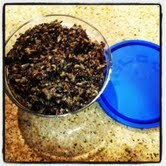 ** This was my first time cooking black rice. I wasn't sure what texture to expect, but it was a bit more chewier or grainier than brow rice. I really enjoyed the flavors and the mouth feel... and no, that's not what she said! wow ... from ks and living in Playa? this is my dream. my husband and I live in KC, got married in Cozumel in 2010 (scuba fanatics) and do our best to get to Playa every year if possible ... love it! I'm off to stalk your blog. so very interesting. Thanks for the comment. My husband and I are becoming quite the scuba fanatics as well. If you ever come to playa, let us know and maybe we can dive a cenote!